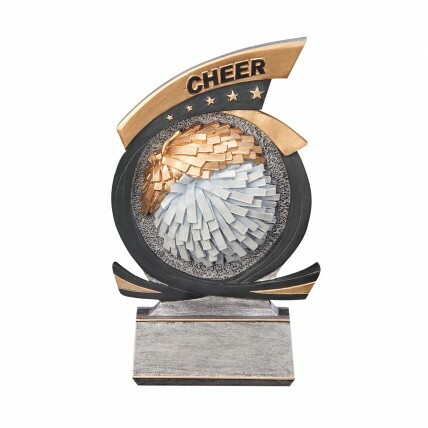 Are you looking for a fun award to present the most spirited squad at this year's cheer camp? The Metallic Resin Cheer Awards are your solution! 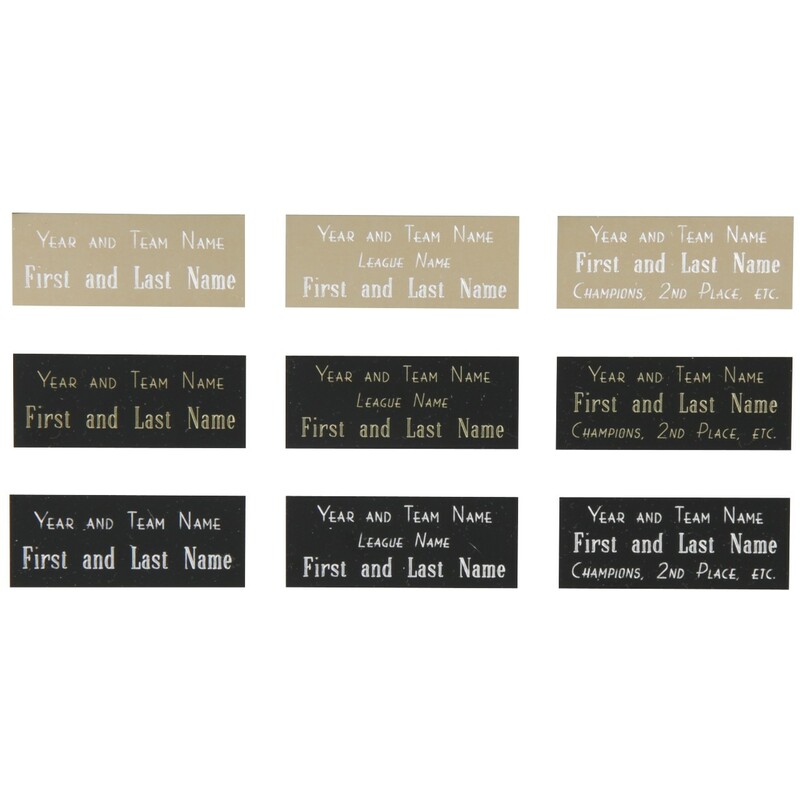 Measuring about 7 inches in height, these silver and gold colored resins feature a texture pompom design and space for up to three lines of free gold engraving on a black brass plate. Production time for this product is 2 business day(s); expected pickup or shipping date is 04-26-2019.